There are two big stories involving transgender people in the news this week. 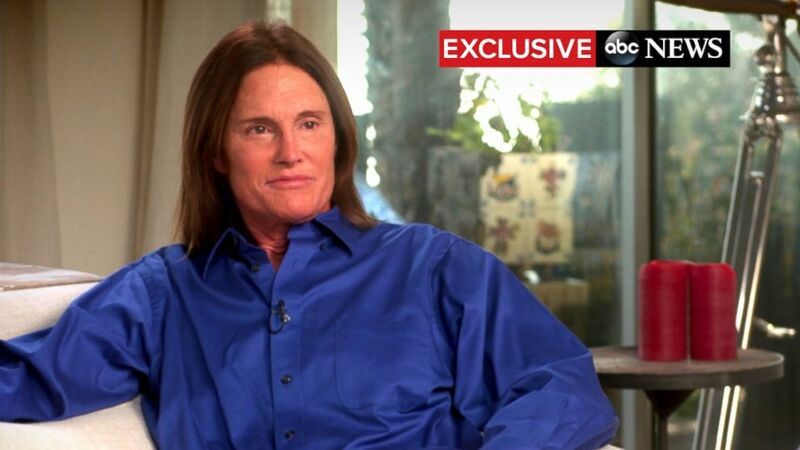 The first one is Bruce Jenner's television interview with Diane Sawyer in which he comes out as a woman. Unless you have been living under a rock, you have at least heard about the interview if not seen it. In January, President Obama condemned the persecution of "people who are lesbian, gay, bisexual or transgender," becoming the first president to utter the word in a State of the Union address. "Transparent," about an aging father who begins living as a woman, won two top awards at the Golden Globes, while transgender actress Laverne Cox of "Orange is the New Black" -- who made the cover of Time magazine last year -- was just cast in a new CBS drama. The May issue of Vogue has a photo spread with transgender model Andreja Pejic, who said on Instagram this week that she "was told by various people many times over that the chances of me ending up on these pages were slim to none." A transgender character had a recurring storyline on the just-wrapped final season of "Glee," while transgender activist and YouTube star Jazz Jennings will star in a reality show debuting on TLC this summer. The second big news story, which is a far second to the Bruce Jenner story, a (wo)man once considered the best athlete on the planet after he won the 1976 Olympic gold medal in the Decathlon, is that a trans man, Aydian Dowling, is the leading vote-getter to appear on the cover of Men's Health Magazine. While Dowling is clearly in the lead with reader votes (he's ahead by more than 30,000) it doesn't necessarily mean his image will grace the cover. Judges for the annual contest, now in its second year, select a winner from entries based on a number of criteria including fitness, professional success, healthy lifestyle and how much they give back to their community. The public votes make up 10% of the final ranking, according to the contest rules. Still, it would be a huge step for transgender acceptance and equality if he were given the cover, and no matter what less welcoming readers of Men's Health might think, this would likely be one of the best selling issues of all time. That may be all it takes to get Aydian Dowling on the cover. These two stories, plus the trans model in Vogue (even if her image reinforces the dominant image of female beauty, and does not represent the majority of trans women), the success of Transparent on Amazon Prime, and the success of transgender actress Laverne Cox of Orange is the New Black, all signify a transgender awakening in America. For more, see CNN's America's Transgender Moment.